Sometimes a business takes shape over time and the end result is very different from the initial model. In 1994, Jason Kaplan had just graduated from Arizona State University with a degree in marketing. Having worked as a nightclub bouncer through college, Kaplan recognized a need to improve the late-night taxi experience: After taking a taxi home, riders were left stranded without their vehicle the following morning. The only ways to get back to their car were to call someone for a ride or pay another fee for a different taxi to take them back to their vehicle. Kaplan had the idea to offer a service that would pick up both the rider and rider’s car. This offered an option that other taxi companies didn’t provide. “I would bring an extra person with me when someone called for a pickup. Then I would take the customer home in their car and the other person would follow us home driving their own car. It seemed like a fantastic solution and I was excited to launch this new idea,” Kaplan says. It was the beginning of what is known today as The Driver Provider, which officially launched in 1997. A serendipitous experience servicing the top CEOs of America for a Forbes Magazine conference in the late ’90s showed Kaplan another sector of transportation. It was about more than just drivers and getting from point A to B. The luxury chauffeur service was its own growing niche and more mainstream. With this knowledge, Kaplan took a leap of faith and sold his personal car to purchase The Driver Provider’s first Cadillac Sedan de Ville. Focusing on corporate transportation, Kaplan’s fleet quickly expanded to include luxury SUVs, executive vans, limousines and buses. His focus on customer service, value, reliability, timeliness, convenience and consistency set Kaplan apart from his competition and he quickly developed partnerships with luxury resorts, corporations, and destination and meeting planners. Two decades later, The Driver Provider operates a fleet of more than 150 company-owned vehicles. Headquartered in Phoenix, with offices in Tucson, Ariz.; Salt Lake City and Park City, Utah; and Jackson Hole, Wyoming; The Driver Provider continues to support a corporate clientele with an emphasis on service. Kaplan believes staying competitive means understanding the needs of the executive traveler. It’s why standard vehicle amenities include chilled bottled water, the daily newspaper and complimentary Wi-Fi. Clients can easily book reservations via a mobile app, as well as monitor the status of their scheduled vehicle via live GPS tracking. Today, not only does The Driver Provider have contractual relationships with Arizona’s most luxurious resorts, it offers executive ground transportation around the globe. Clients appreciate the standardized service and centralized billing, regardless of where their travels take them. Looking ahead, Kaplan says The Driver Provider is continuing to focus on customer service, technology advances and the company’s worldwide affiliate program. “The goal of any successful business is to continue that growth. Growth can mean expansion, but you also have to think outside the box. It encompasses relationships — like those we have with our resorts and concierges we work with. 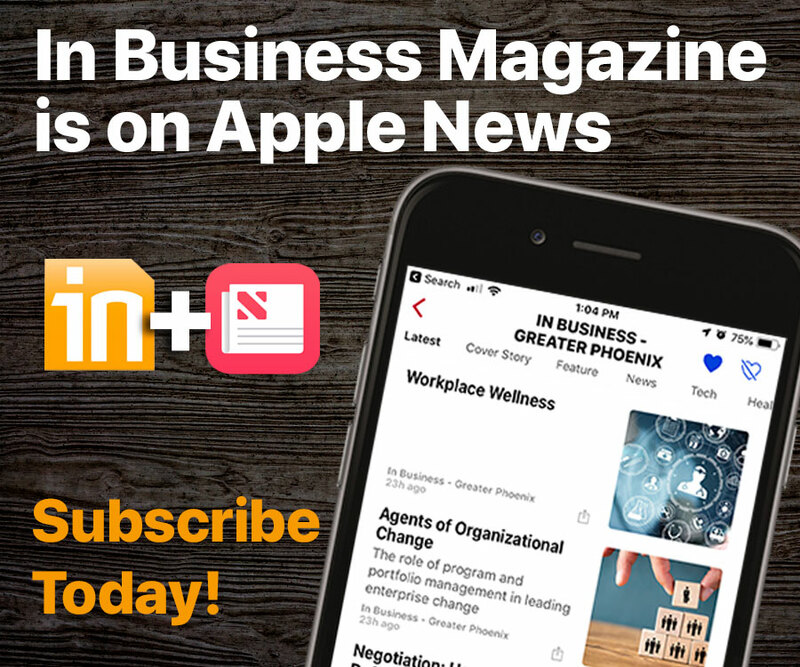 “It’s also being knowledgeable of the trends and advances in the industry,” says Kaplan, who has served as president of the Arizona Livery Association for two terms and is currently a board member for the National Limousine Association. Jason Kaplan founded The Driver Provider on the premise of driving clients in the comfort of their own vehicle. A chance encounter at an event with multiple CEOs convinced Kaplan to transition The Driver Provider from a taxi service into a premier luxury chauffeur service. Today, The Driver Provider offers transportation globally, still with a focus on customer service, value, reliability, timeliness, convenience and consistency for its clients. The Driver Provider is ranked nationally for having the 22nd-largest fleet of vehicles in the chauffeured car industry.